After my last few trips, I have fallen in love with homemade tacos. 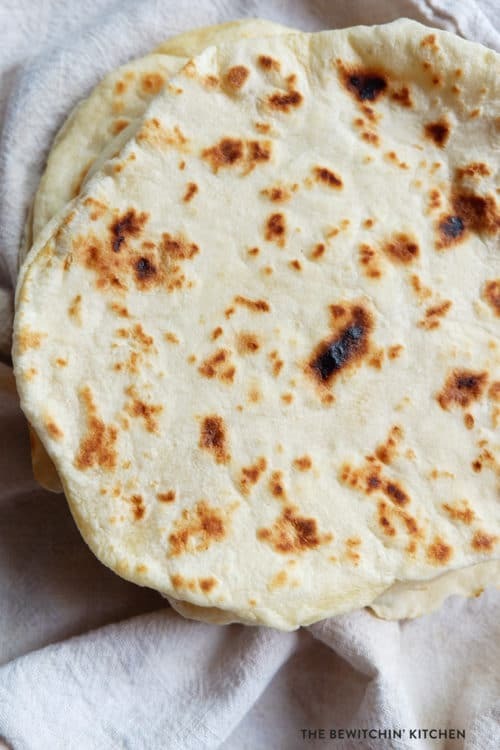 Everything from making the homemade flour tortillas to mixing it up with the fillings and toppings. 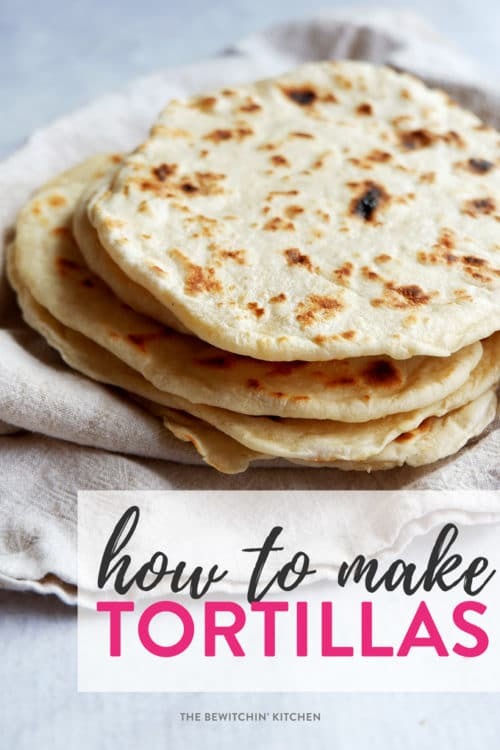 Today I’m showing you how to make flour tortillas so you can have the base to build your idea of the perfect taco. I understand that tacos are not real authentic Mexican cuisine, it’s more a southwestern thing (at least that’s what I was told when I was visiting Mexico) but I was really disappointed when they didn’t have any at the last resort I stayed at in Mexico. I wasn’t the only one, a few of us were talking about real tacos and how much we craved them. However, they had a Mexican Fiesta for the resort and you can bet that the taco line was the biggest line at the event! 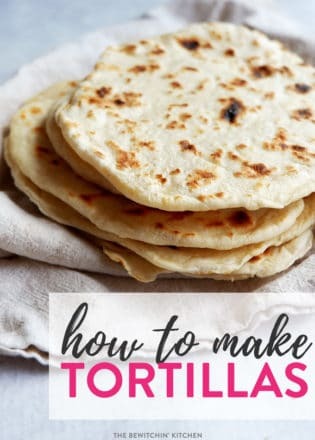 My friend and I watched how they made tortillas and I mentally took notes. Both times I visited Southern California and I saw tacos on the menu, you can bet that’s what I ordered. My favorite? Chicken tacos with anything spicy. I’m drooling thinking about them. You guys, I think I have fallen in love with tacos. I went from eating them because they were easy (the box kit) to making them from scratch and loving not only the process but the end result. 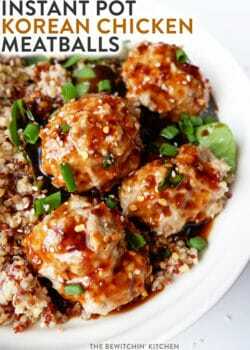 Looking for a gluten free option? Check out how to make corn tortillas! It was easier than what I thought it would be to make flour tortillas. 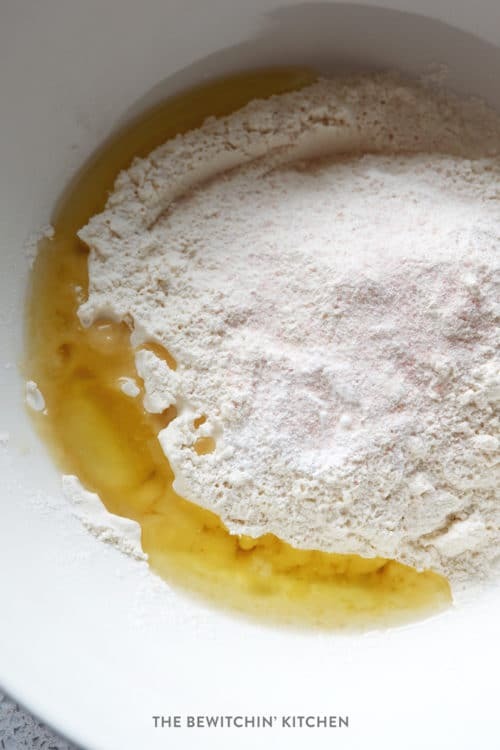 I simply added flour, oil, salt, and water together and mixed until I had a similar consistency to what I achieve when I make homemade buns. I’m not sure if that’s the right way, but it worked for me! 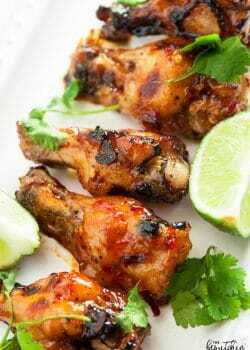 I then grilled them on a lightly oiled pan and I was eating delicious, homemade chicken tacos in no time. and baked for 6-8 minutes at 400 degrees. The original recipe that I’m basing this off of came with my tortilla press. 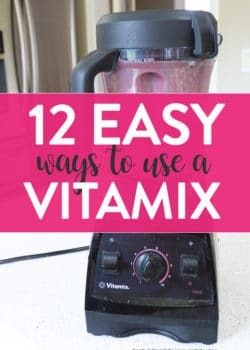 It called for 2 tablespoons of lard, and I don’t have lard on hand so I subbed it with olive oil (typical me, started cooking before I read the whole recipe – I’m not the only one who does that am I?). Note: I pressed the tortilla press a few times to flatten the dough as much as possible. I also experimented with a rolling pin, which was able to flatten tortilla even further. 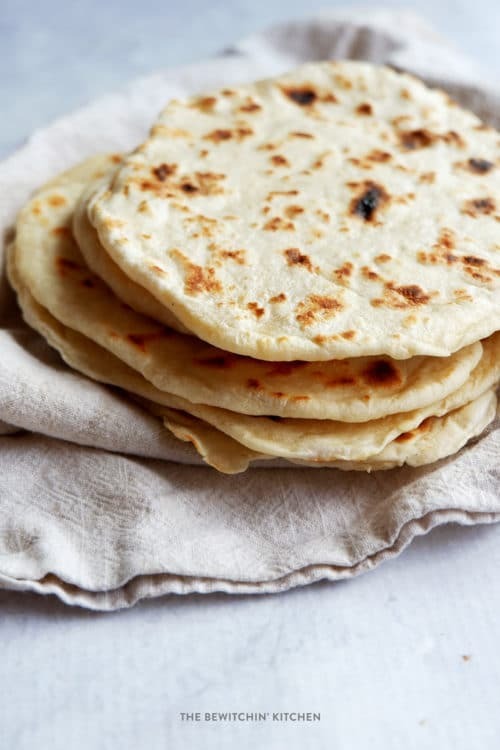 So what you use comes down to your preference: thick or thin tortillas? 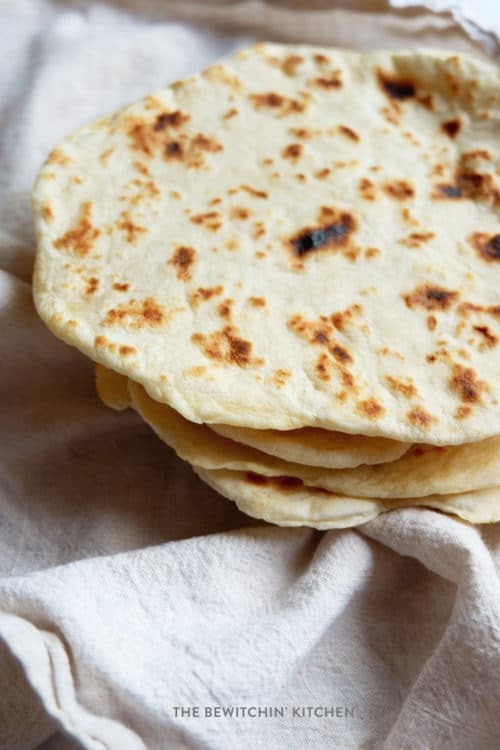 A super easy recipe for homemade flour tortillas. In a large bowl combine all the ingredients and mix by hand until it forms a ball, adding more water if necessary (I made it to the consistency of bun dough). Roll into a ball, the size of a ping pong ball, and press with a tortilla press. 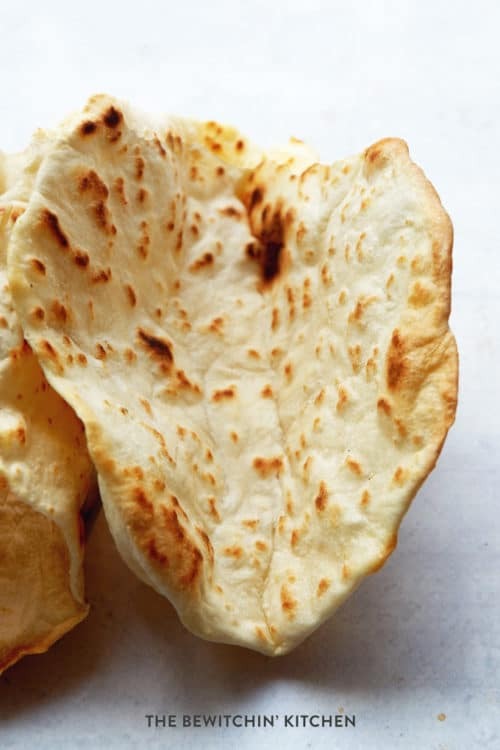 Add each tortilla to a pile and wrap with a warm tea towel to keep soft and to temperature.